Every summer we run a course for up to 7 children who are 13 years old and younger (the youngest we have had on our course is aged 5). Whatever your level of injury, you get to try lots of outdoor activities like canoeing, horse riding and archery as well as swimming and having fun with new friends. You will come with a parent/adult guardian with you and we do have some spaces on the course for siblings, so they get to meet other families who are in a similar situation to you. 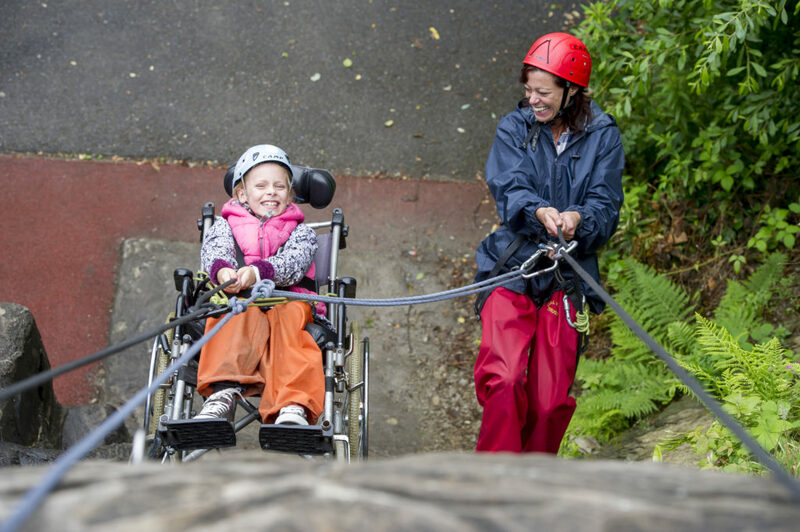 The course is at the Calvert Trust in the Lake District – which is an organisation that has provided holidays and courses to lots of people who use a wheelchair or may need a bit more support. We have adults and young people that lead the course who have a spinal cord injury themselves, so are able to share their life experiences with you.